This waterfront suite offers great SUNRISE views over Campobello Island, and the International Bridge. This two-bedroom suite has a king bed in one bedroom and a queen bed in the other with plush mattresses and deluxe pillows that provide guests with a luxurious night's sleep. The sofa may also be converted into a sleeper. A complete home away from home there is a full kitchen and laundry with washer and dryer. 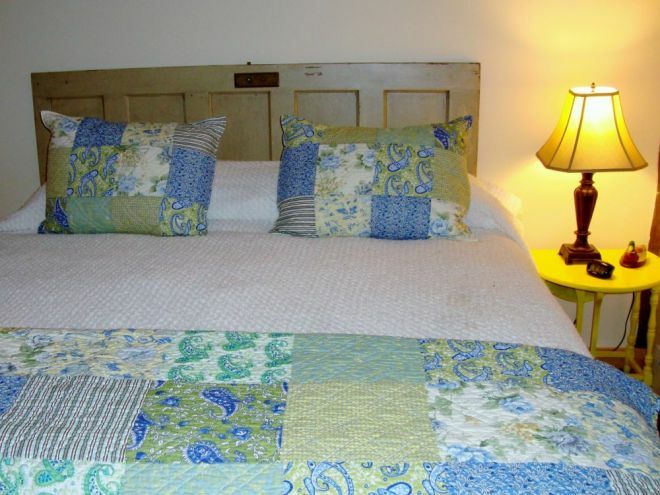 Linens and cook ware are there so you won't need a thing except your own creativity. 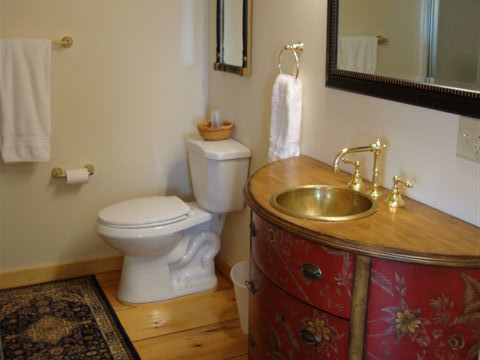 The charm of this beautiful suite is reminiscent of the "old style loft or attic" suite. Highlighted in shades of red, white, and blue, this quaint suite is perfect for a small group, or family. 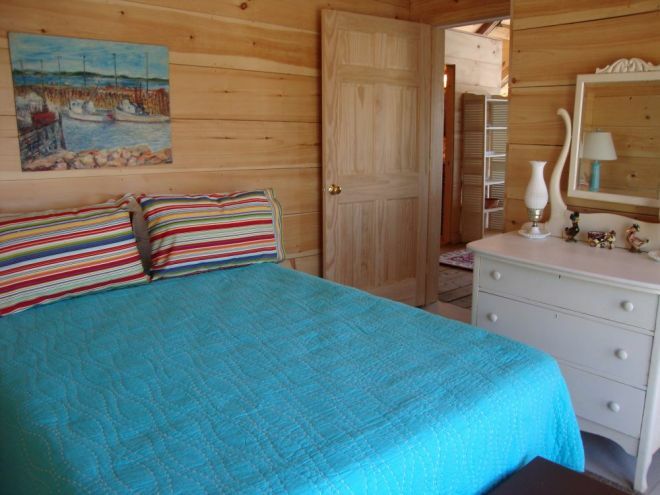 This suite's woodwork is of locally-cut and planed native White Pine. The floors are original and quite interesting with differing widths and woods. 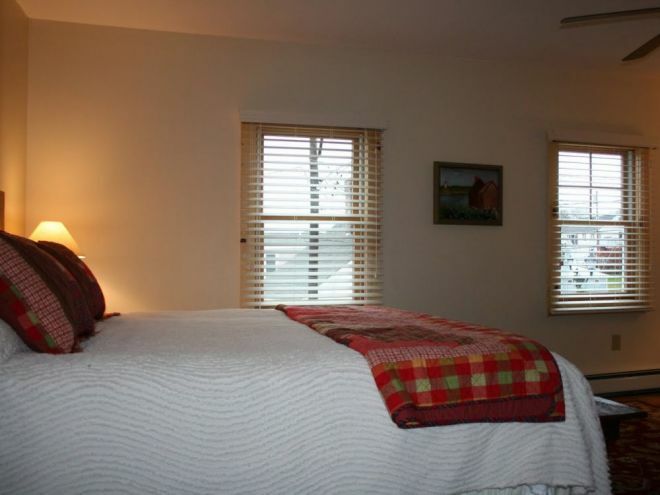 The suite has TV, Wi-Fi, ceiling fan and fireplace with themostat. 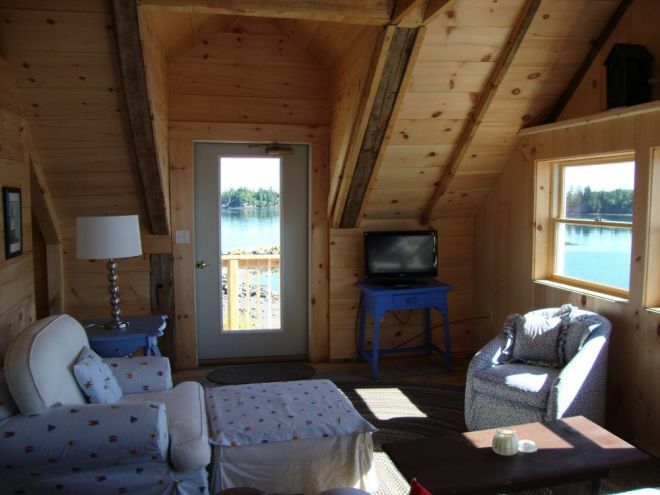 The suite has access to two decks for outside water front seating with a wonderful place to sit and relax. May 18 - Oct 22/ $250/Night plus 9% tax. Price includes housekeeping as requested. Check-in after 4pm and checkout by 11am. 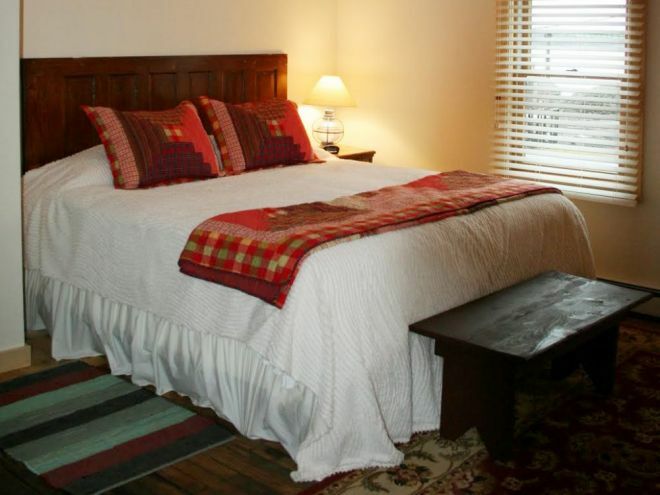 Located on the second floor of the Water Street Tavern & Inn, this room highlighted in warm reds and golds, has a king-size bed with plush mattress and deluxe pillows that provide guests with a luxurious night's sleep. 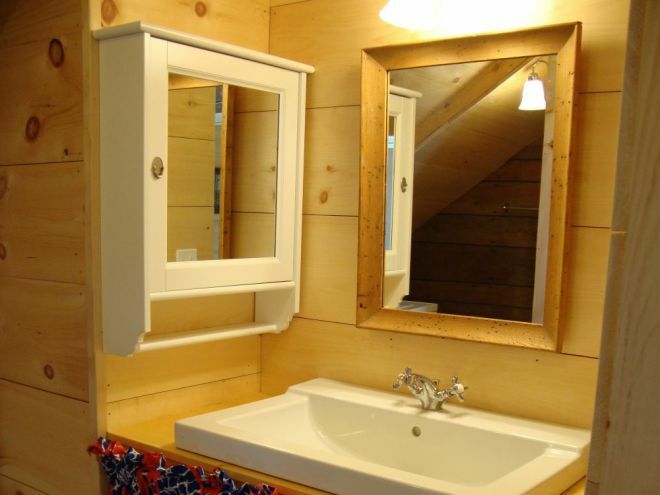 Separate sitting area with TV and a private bath. 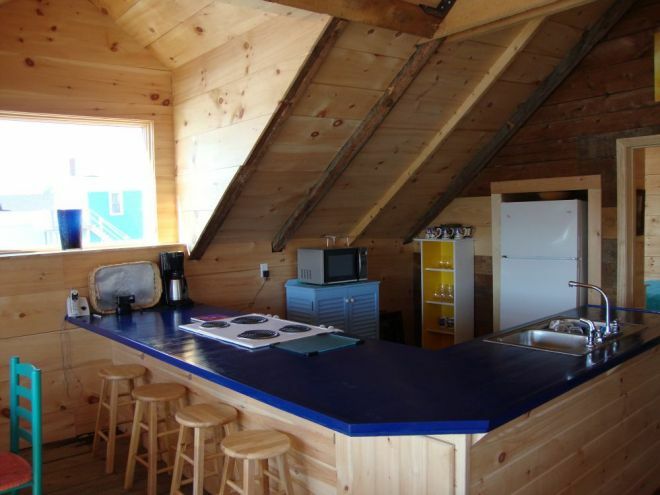 Microwave and small fridge as well as washer/dryer are available in the common area. The room accommodations also include TV, Wi-Fi, high-speed Internet, housekeeping as requested, ceiling fan, individual thermostat. 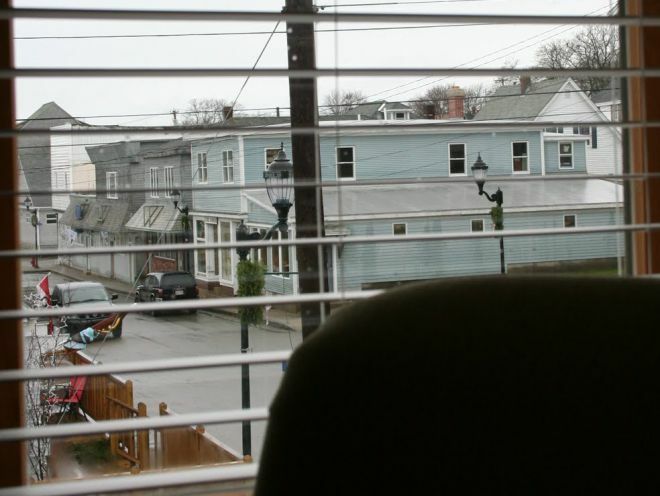 Enjoy views of the town and the International Bridge to Campobello Island, NB. The Tavern Gathering Room is also available for guests staying in this suite. 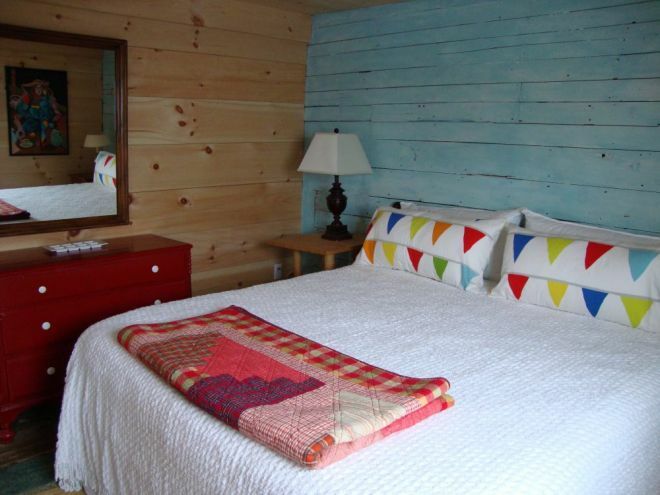 May 6-Oct 22 $ 115.00 US/per night plus 9% tax. Housekeeping included as requested. Check-in after 4pm and check out by 11am. 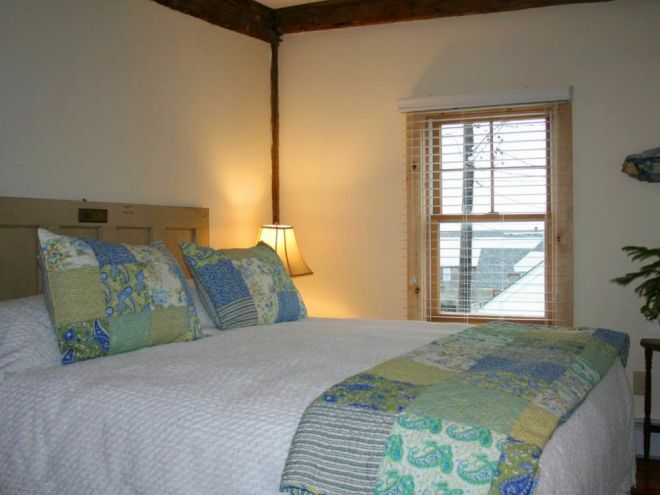 Located on the second floor of the Water Street Tavern & Inn, this room is highlighted in hues of blues, yellows and greens, has a king-size bed with a plush mattress and deluxe pillows that provide guests with a luxurious night's sleep. Private bath. 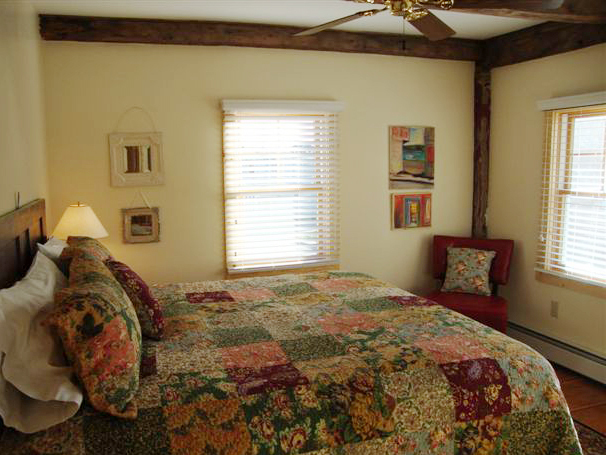 The room accommodations also include television, Wi-Fi, high-speed Internet and ceiling fan. The Tavern Gathering Room is also available for guests staying in this suite and includes a microwave, small fridge and washer/dryer. 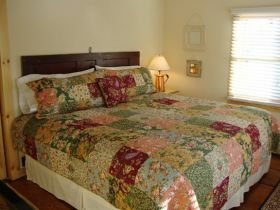 May 6- Oct 22, $95.00 US per night plus 9% tax. Housekeeping included as requested. Check-in after 4pm and checkout before 11am. Located on the second floor of the Water Street Tavern & Inn, this room is highlighted in cranberry and blueberry colors and is a corner room with lots of light and windows. The room has a king-size bed and plush mattress and deluxe pillows that provide guests with a luxurious night's sleep. Private bath. The room accommodations also include television, ceiling fan, Wi-Fi, high-speed Internet service and housekeeping. The Tavern Gathering Room is also available for guests staying in this suite which also includes a microwave, small fridge and washer/dryer. 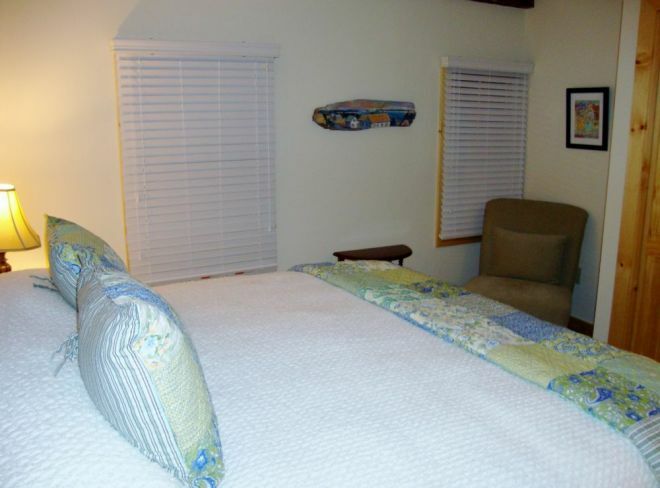 May 6-Oct 22, $95.00 US per night plus 9% tax. Housekeeping included as requested. 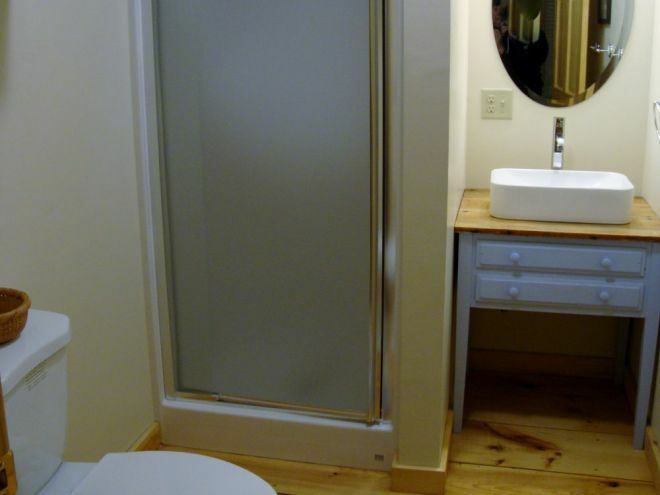 King Bed and Private Bath, Kitchen plus Washer and Dryer. Even before you open the door and walk in, your view is just a WOW!. The SUNRISE is incredible over Campobello Island. Go ahead, go on in, this is your room. Room? This is not just a room. These are your private port holes to view nature and raw beauty on display. The tidal flow, twice a day, the swirls and eddys in the cove, nature's constant action with gulls, swooping in and out. Watch the bald eagles as they look for their next meal. Oh, yes, those are seals.They are looking for their next meal, too. The current, look at its beauty and power as it flows in and out (about 8 knots). That's Campobello, New Brunswick just across the international bridge. Time here is Eastern Standard. Time there is Atlantic time zone, one hour later. The lighthouse is Mulholland Light, nice photo op so get your camera out. Put your luggage down. Don't worry, the view will not go away while you unpack. Welcome to the Narrows suite, part of the old wharf system that used to have smoke houses attached to this great old building. If you must, Wi-Fi, high-speed Internet is in the room and hosekeeping is included and there is a full kitchen with stove, fridge, micro wave, washer and dryer as part of your suite. All linens and cooking kitchen ware provided. May 6 - Oct 22 $165.00 US/Night plus 9% tax. Housekeeping included as requested. 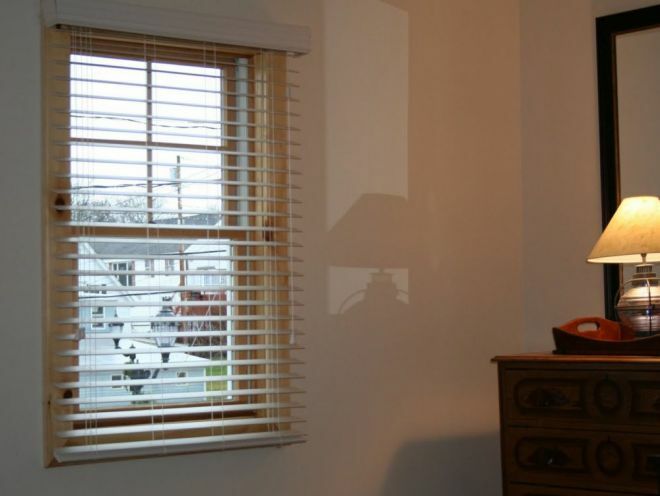 The cottage is located in the eastern-most town in the continental U.S., in a lovely old fishing village. The setting is of pristine beauty, on a hill at the end of a peninsula jutting into the Bay of Fundy, abutting Campobello Island, New Brunswick. Breathtaking views of lobster and fishing boats, bay islands and endless water can be seen from this newly renovated turn-of-the century fisherman's cottage. Features two bedrooms, two baths, fully equipped kitchen, all linens provided, TV, Wi-Fi, high speed internet, ceiling fans, washer/dryer and large screened porch for taking in the gorgeous views, reading, or napping. Jun 1 - Oct 15, 2017 $1015.00 US per week plus 9% tax. Check-in after 3pm and checkout before 11am.